Q: What kinds of programs do you host through MHWOW? A: Being involved with several Jewish organizations lets me engage with different audiences and plan a variety of events. I’m a big fan of Jewish learning events, making Torah and Jewish texts accessible to those, who like me, didn’t have a formal Jewish education growing up. Over the past few years with Moishe House I’ve hosted learning series on Mindfulness and another on Health and Wellness. I’ve also brought in discussions from Unorthodox and Joy of Text, two awesome Jewish podcasts with great content for inspiration and conversation. I host because Judaism is such a communal, but individual experience. Hosting lets me bring together small groups for intimate conversations where everyone feels comfortable and can speak their mind! I also love hosting because it gives me a reason to get outside of my Jewish comfort zone, explore a new text, or grapple with new ideas. Q: How did you get involved with Moishe House? A: I actually first got involved with Moishe House Cambridge, the first event I ever went to was a women’s learning session for Purim. I joined the community board for the house and started getting more comfortable with hosting events on my own. In May 2018 I went to the Mindfulness Retreat. There’s really nothing like getting together with 30 people all across the spectrum of Judaism who all want to build the next generation of Jewish community. Q: What are your goals for future programming? A: More programs! One of my goals is to also empower other members of my community who have programming ideas to get their plans off the ground! There is a never-ending need for effective and successful Jewish programs so the more I can support them, the better! Q: Anything else you’d like to share with the MHWOW-iverse? If you have a Moishe House in your area, go! Meet those folks, learn from them, hear what populations they haven’t been able to reach or appeal to, maybe you will! Simona leads product marketing for Medisafe, the leading medication management platform, where she answers for branding, positioning, and maintaining a connection with the patients who use the platform. 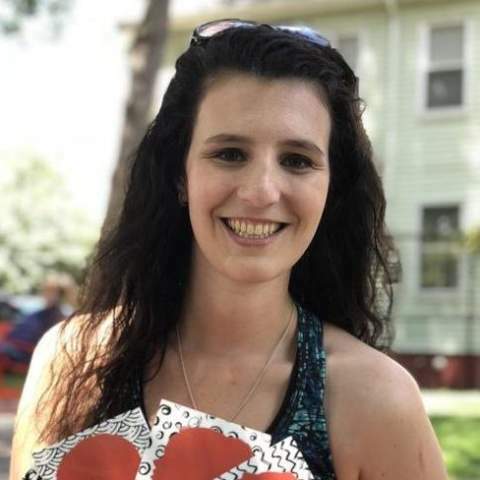 When she’s not at work she is either hosting events with MHWOW, the Boston area Moishe Houses and the Jewish Arts Collaborative or at the gym! Find her @jewmeetsgym.